The months leading up to a wedding are often filled with joy and excitement. However, they also tend to be stressful because of the detailed planning that goes into the preparation. 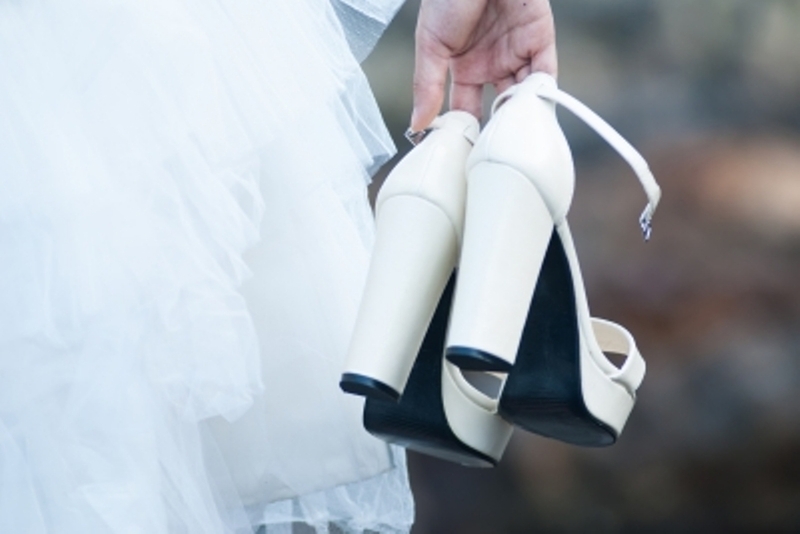 All too often, the majority of the responsibility falls on the bride-to-be’s shoulders. As a result, she’s also at the receiving end of the stress that planning a wedding doles out. If you are a bride-to-be yourself, chances are, you are aware of how stressful wedding planning can be. And while you do want to stay calm and collected throughout the process, the piling pressure of being a bride-to-be along with the seemingly endless details that you need to attend to could just rub you the wrong way and send you over the edge. So, before you turn into a bridezilla, it’s a good idea to recognize the signs that wedding stress is starting to creep up on you and what you can do to manage the issue. Everyone knows that a lot of details go into a wedding. So, it’s only natural for you to be busy running errands, meeting vendors, tasting cakes, and finding a dress. However, running errands for your big day becomes a problem when you do them during meal times. Skipping meals could result in exaggerated emotions, which could further boost the stress you feel, clouding your ability to think carefully. It could also affect your wedding fitness plan. Do not make it a habit of skipping meals to tend to the details of planning your big day. Learn to juggle your time by limiting how often you can swap a meal for a wedding task. For instance, consider assigning one lunch per weekday to do wedding-related stuff, and let the rest of the week flow as it normally would. This will ensure that you get to complete errands without sacrificing your meals – or your health. As mentioned earlier, the majority of the responsibility for planning a wedding is on you, the bride-to-be. As a result, you might get bogged down in details, and you might feel that your fiancé is less involved with the process than you are. If you find yourself often arguing with him, with most of the reasons relating to your wedding, it is time to stop and rethink your actions. Stress can be a relationship hazard, and the last thing you want to happen is calling off your wedding because you have already lost touch with the groom-to-be. Put the brakes on wedding planning anxieties every once in a while to reconnect with your loved one. In between preparations, plan dates with your fiancé with no wedding talks allowed. Make things romantic, and consider those dates as opportunities to remind yourself that the wedding is all about both of you. One of the clearest signs is when you over think things; you start worrying and changing some of the original plans. You worry that the reception venue you have chosen is not as good as the one you just saw online, or you think the flowers you have picked will not complement the theme of the wedding. These doubts can feed your stress further, casting a feeling of uncertainty and fear. If you’re starting to sense doubts about your decisions, consider taking a break from planning for a week or two. This is enough time to get your thoughts organized and freed from worries. Once your head is clear, you can jump into the planning process again with a clearer idea on how to improve your original plans rather than scrap them completely for new ones. It’s hard to picture a stressed bride ignoring her planning tasks, but if you find yourself in such a situation, it’s an indication that you’re already overwhelmed with the tasks at hand. If your big day is just around the corner and your to-do list seems impossible to complete, do not be afraid to delegate. As super as you deem yourself to be, you cannot handle everything on your own. Remember that wedding details are major endeavors, and help from friends and family members will make everything easier and more manageable. Suggested Tip: As you attend to your check list, try doing the fun and easy tasks (i.e. cake tasting, making place cards, buying wedding shoes, etc.) first so that you’ll get your momentum. Seeing small items checked off from the list will make other tasks seem more doable.